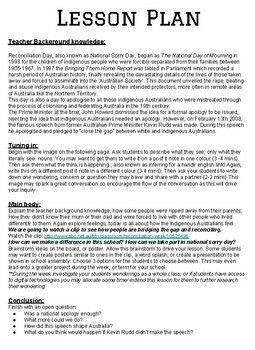 I created this lesson plan in order to draw more attention to a day that isn’t as honoured as it should be in Australia’s society. I personally feel that we need to do a lot more in our education system to inform our students of Australia’s history- both good and bad events. This lesson plan draws out the emotion and empathy for the indigenous Australians and then pulls focus on what we can do right NOW .